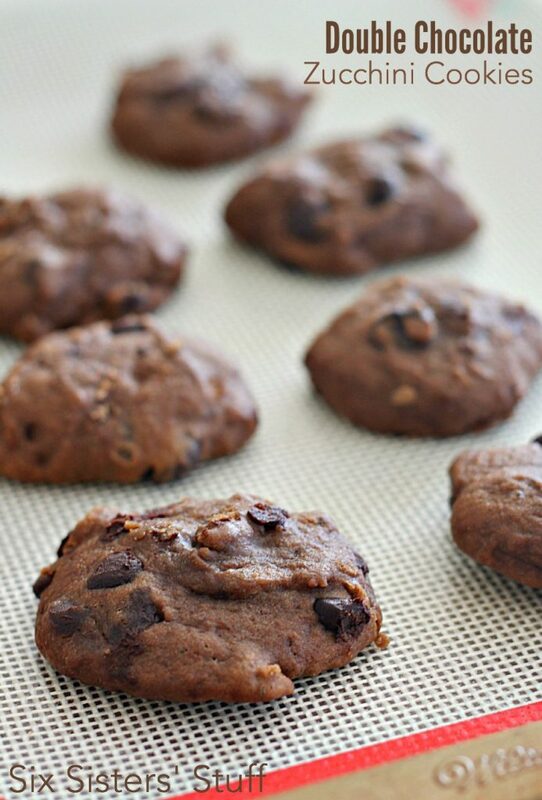 These Double Chocolate Zucchini Cookies are simple, full of flavor, and full of vegetables that you can't even taste. 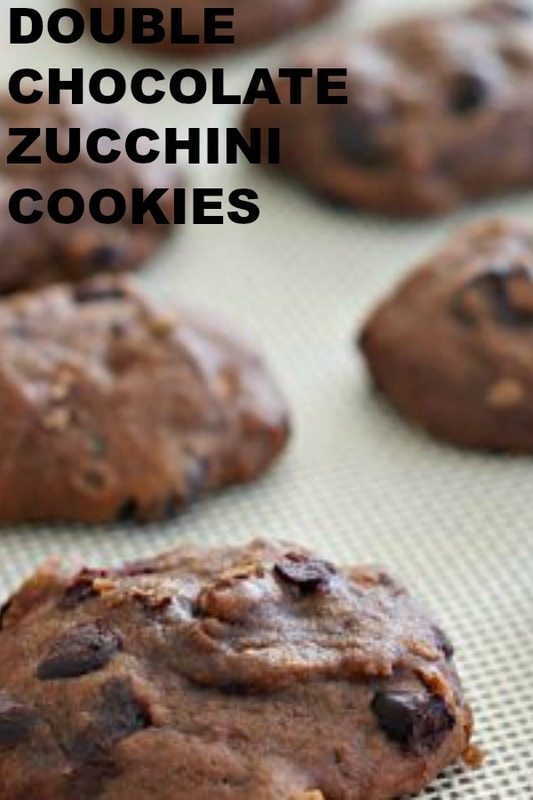 The zucchini in these cookies make them moist and delicious. You are going to love these little morsels of chocolate goodness. Want to know how I know if a recipe is good or not? When I make a recipe, I usually photograph it as soon as possible. My dinner recipes are usually photographed a couple of minutes before we are about to sit down for dinner. However, dessert recipes that are baked usually don’t photograph that well when they are fresh out of the oven. They need a little time to cool down and set up. Well, on this particular day, these cookies weren’t ready to photograph before the sun went down, so I put them in a container and asked my family to please not eat them until I had photographed them. The next morning, I came downstairs to find that there were only 7 cookies left. 7 COOKIES. No one would fess up to the crime and there is no use crying over spilled milk, so I decided to make due with what I had left and try and get a good picture. Well, as I was figuring out how to photograph them, I noticed that two cookies had BITES missing from them. Only one person in our family has a mouth that small and she has recently learned how to climb up on our counter. It’s a good thing that she’s cute. That’s all I have to say. 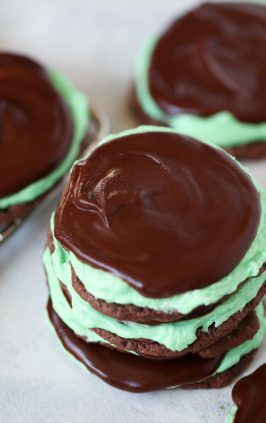 So, the picture that you see of these Double Chocolate Zucchini Cookies consists of 7 cookies- the only 7 that remained. The two cookies in the back have little bites missing out of them. Oh, the secrets of food photography. As soon as I was done photographing them, one of my older kids yelled, “Mom’s done photographing the cookies!” and just like that, all 7 of them were gone. So, that’s how you know these cookies are amazing. You should make them. Immediately. do i need to remove any excess zucchini juice? We didn’t remove any zucchini juice, or sop up any of the extra liquid off them. We just threw it all together and it turned the cookies moist, but they were absolutely perfect. 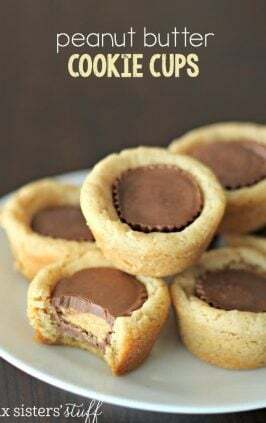 You will love these cookies. 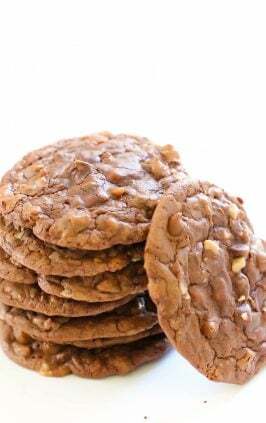 These soft, chocolatey cookies are a family favorite- and you would never know that they are loaded with zucchini! Preheat oven to 350 degrees. Lightly spray cookie sheets with non-stick cooking spray or use non-stick silicone baking mat . In a large bowl, beat the butter, brown sugar, and white sugar until creamy. Add egg and vanilla and mix well. Mix in flour, cocoa powder, baking soda, baking powder, salt, and cinnamon; stir until combined. Fold in zucchini and mix, then add chocolate chips. 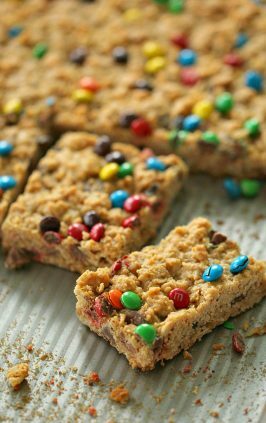 Drop large spoonfuls of dough onto cookie sheets. 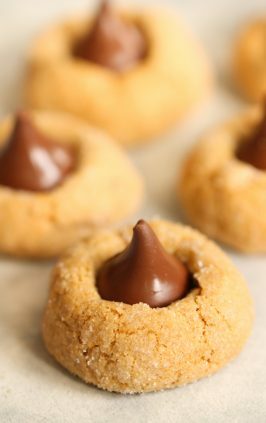 Bake for 8-10 minutes, then let the cookies cool for 5-10 minutes on the cookie sheet before removing them to wire racks. If by some miracle these cookies survive on the counter, do you think they would freeze well? Would like to bake them now and bring them next month to visit my daughter? Barb, I totally think that these would freeze great!! I would just let them cool down, then put them in a freezer safe container or bag and you should be good to go for at least a month! :) Have fun visiting your daughter! Do you take the skin off and take the seeds out of the zucchini for this recipe. Thanks! We actually just threw it in the food processor and then measured out what we needed for the recipe. So easy!! Leave the green skin on.....it's loaded with vitamins! 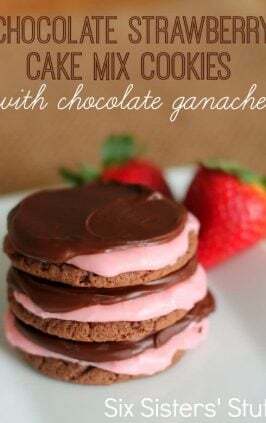 I made these last night, and they are absolutely delicious! Thanks for the great recipe! Oh my, these were a.m.a.z.i.n.g. I could not stop eating them and my family loved them too. Think I will need to double the recipe next time. Thankful more zucchinis are sprouting in our garden! do you squeeze the moisture out of the zucchinis after shredding or leave it in? We didn't squeeze any moisture out when we grated the zucchini. We just threw it all in and it turned out great! Thanks for the great recipe! I am not good at baking and always end up with flat cookies but these turned out beautifully! Nice and tall the way I like them. I read the freezer comments - I am going to try freezing the dough so I can have a house smelling like warm chocolate next time we want these again, I'll let you know if that works out! Hi. I made these yesterday for my son's Carnavale at school today. They are delicious. But I have a question; my dough was really dry and I couldn't seem to "hide" the zucchini's. I peeled mine because I didn't buy organic, and you could see the white in every cookie. I almost added milk to help the dough become a bit more moist, but I didn't want to ruin your recipe. What do you think I did wrong? I hand grated on a medium grate. My son wouldn't eat them because he didn't like the way they looked, though honestly they were amazing cookies. 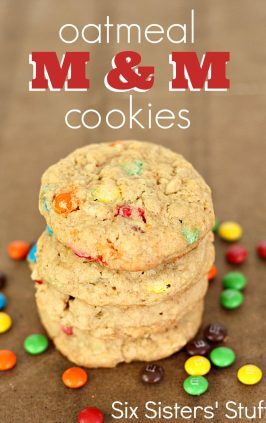 Maybe adult cookies? ;) Thank you. We grate them pretty small. Wondering if your zucchini had much liquid in it. That keeps the dough pretty moist. Sorry you couldn't hide the zucchini from the kids. They are a delicious cookie. Well, in fact, my son did eat some today as they were "left-over" from all the other treats and they were all gone and he said they were good! So score! Absolutely loved these! Don't bother squeezing the juice out of the zucchini - the wet zucchini softens the dry dough to just the right consistency. 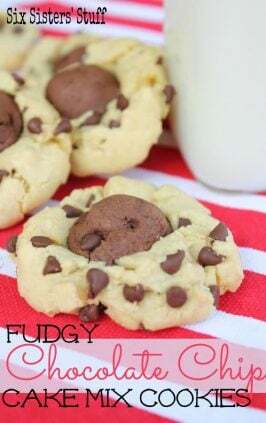 The chocolate chips are an absolute MUST! 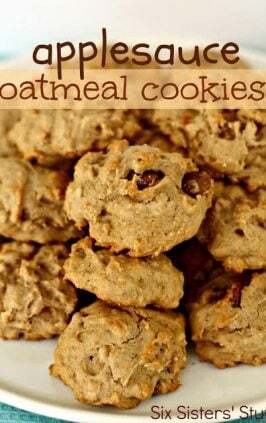 If you want to make these and don't have chocolate chips, do yourself a favor and buy/borrow some. 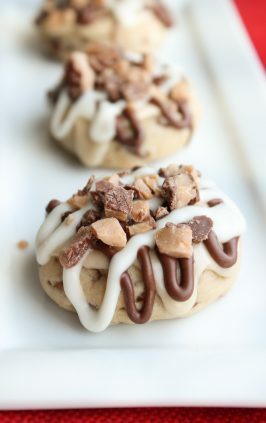 They turn a good cookie into a decadent one. Great recipe, will make again...and again...and again. Really enjoyed these cookies. As suggested didn’t squeeze the water out of the zucchini. It definitely helps moisten the dough. Mine seemed so poofy and airy as if not eating any cookie and therefore no calories. lol will definitely make again.